We are heading into a time of the year full of peril. 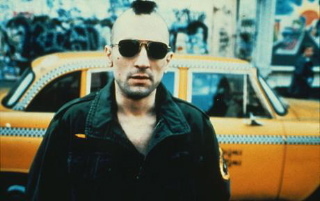 (Above) The man who drove his car into a crowded Dutch royal parade, attempting to assassinate Queen Beatrix Wilhelmina Armgard, on April 30, 2009, had shaved his hair into a Mohawk, like the homicidal anti-hero of the highly political film Taxi Driver (1976). The explosive American political climate of 2015-2016 has produced wall-to-wall media coverage of the infighting on the Republican and Democratic fronts. Due to the almost nonstop attention to the conflicts between the candidates, have you noticed the mainstream news channels (e.g. CNN, Fox News, MSNBC) have mostly ignored school shootings and workplace violence? Have the lack of coverage actually caused a decline in the incidents? Or are they happening but not being reinforced? Certainly, the terrorist incidents in San Bernardino, Paris and Brussels resulted in a few days of reportage, but then the media returned to politics. Watch for that to change during the last two weeks of April 2016. 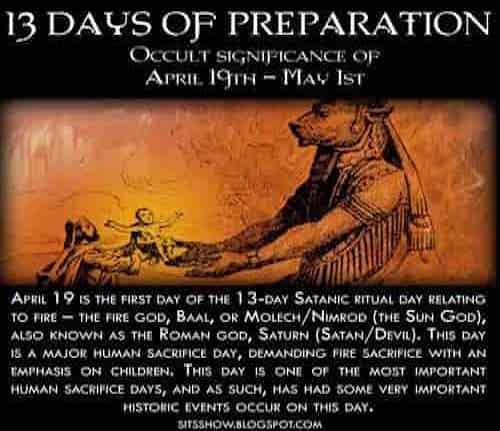 Predictive programming consciousness, copycat effect studies, twilight language analysis, and just plain common sense should tell even the most unaware investigators and reporters that the month of April is perilous. The fourth month of the year, the second month of spring in the northern hemisphere, has become a minefield of anniversaries and remembrances of things which have gone tragically wrong. Homicidal, suicidal, vulnerable, and impulsive violent individuals will react strongly to this upcoming "red zone" of anniversaries. Expect the worst, hope for the best. The pressure has been building. The dates may be remarkably covert in the unfolding of the incidents, but they are there as the stimuli for more events. Take for example, what occurred this week, on Wednesday, April 6, 2016. At the middle school in Newton, Connecticut, a middle school teacher, Jason M. Adams, 46, was detained because he brought a concealed firearm to school. Adams, 46, was released without posting bond and was scheduled to appear in Danbury Superior Court on the 2nd week anniversary of his "weapon's oversight," on April 20, 2016. Of all the school systems in the country, the Newton/Sandy Hook group may be one of the most sensitive about such "mistakes." On December 14, 2012, Adam Lanza, 20, entered Sandy Hook Elementary School in Newtown, killing 20 first-grade students, six adults, and himself. 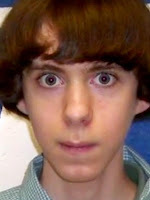 Adam Peter Lanza, briefly a student at Sandy Hook Elementary, was born on April 22, 1992, in Kingston, New Hampshire. April 22nd is a hidden anniversary even within the Newtown-Sandy Hook story. This year, 2016, the Boston Marathon will be run on Monday, April 18, 2016, which is Patriots' Day in Massachusetts, Patriot's Day in Maine, and a school vacation day in Wisconsin. For 2016, April 18th begins the intensive "Red Danger Zone" on the April calendar that I have warned about for several years. The violence has begun to spread to nearby dates. Let me walk you through some of the events tied to these dates. 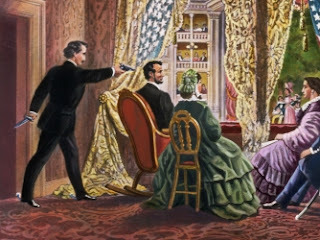 1865 – On the eve of the fifth day of Passover, April 14, 1865, President Abraham Lincoln was shot and died of his wounds in the early morning of April 15th, which had already been scheduled as a national day of prayer to mark the end of the Civil War. Jews across the land were gathering in synagogues to give thanks. When news of Lincoln's death arrived, the synagogue altars were quickly draped in black and, instead of Passover melodies, the congregations chanted Yom Kippur hymns. Lincoln had been protective of American Jewry, overturning General Grant's infamous General Order #11 expelling Jews from the Department of the Tennessee and supporting legislation allowing Jewish chaplains to serve in the military. 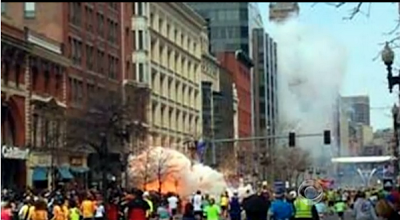 2013 – The Boston Marathon bombing was a terrorist attack, followed by subsequent related shootings, that occurred when two pressure cooker bombs exploded during the Boston Marathon on Boylston Street, Boston, Massachusetts. Six died in the events, and 280 injured, some with loss of legs and arms. 73 – Masada, a Jewish fortress, falls to the Romans after several months of siege, ending the Great Jewish Revolt. 1947 – French freighter S.S. Grandcamp explosion loaded with ammonium nitrate docked at the Port of Texas City, Texas, and erupted in flames, causing a massive explosion that killed at least 581 people. 1995 – George W. Bush names April 16 as Selena Day in Texas, after she was killed two weeks earlier. 2007 – Virginia Tech shooting: Seung-Hui Cho guns down 32 people and injures 17 before dying by suicide. 1984 – Police Constable Yvonne Fletcher is killed by gunfire from the Libyan People's Bureau (Embassy) in London during a small demonstration outside the embassy. Ten others are wounded. 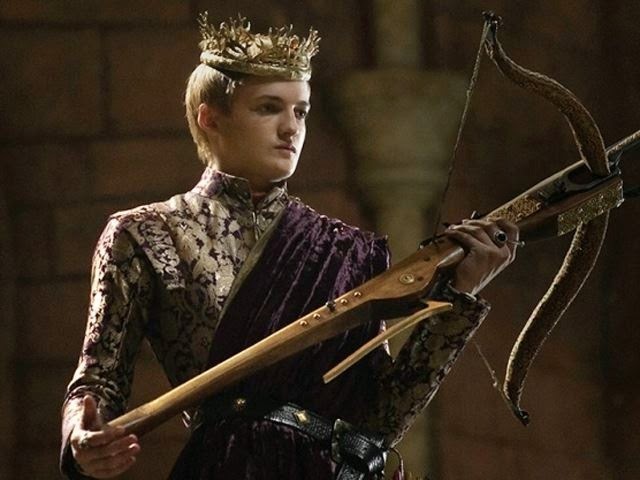 The events lead to an 11-day siege of the building. 2006 – A Palestinian suicide bomber detonates an explosive device in Tel Aviv, killing 11 people and injuring 70. 1906 – An earthquake and fire destroy much of San Francisco, California. 1983 – A suicide bomber destroys the United States embassy in Beirut, Lebanon, killing 63 people. 2007 – A series of bombings, two of them being suicides, occur in Baghdad, killing 198 and injuring 251. 2013 – A suicide bombing in a Baghdad cafe kills 27 people and injures another 65. 2013 – Fertilizer plant explosion, West, just north of Waco, Texas, killed 15 killed and about 200 injured. Eighty homes and a middle school are leveled. Blood Sacrifice to the Beast. Fire sacrifice is required for this specific date. 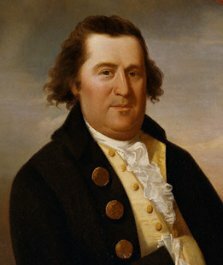 1775 – Battles of Lexington and Concord, Massachusetts, the first battles of the American Revolutionary War. This is the actual anniversary of the battles, even though the observance has become a date tied to the third Monday in April. 1897 – First running of the Boston Marathon, with marathons named after the Greek Battle of Marathon. 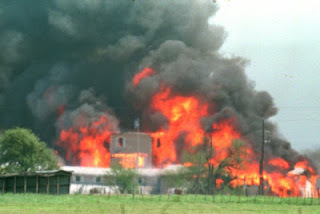 1993 – The 51-day FBI siege of the Branch Davidian building outside Waco, Texas, USA, ends when a fire breaks out. Eighty-one people die. 1993 – South Dakota governor George Mickelson and seven others are killed when a state-owned aircraft crashes in Iowa. 1995 – Oklahoma City bombing: The Alfred P. Murrah Federal Building in Oklahoma City, USA, is bombed, killing 168. 1995 – Richard Wayne Snell, a convicted murderer, member of the white supremacist group The Covenant, The Sword, and the Arm of the Lord (CSA), is executed in Arkansas. Snell was involved in filming the planes that landed at the restricted airport in Mena, Arkansas, believed by many conspiracy theorists to be used in a CIA-sanctioned cover-up to smuggle drugs into America. 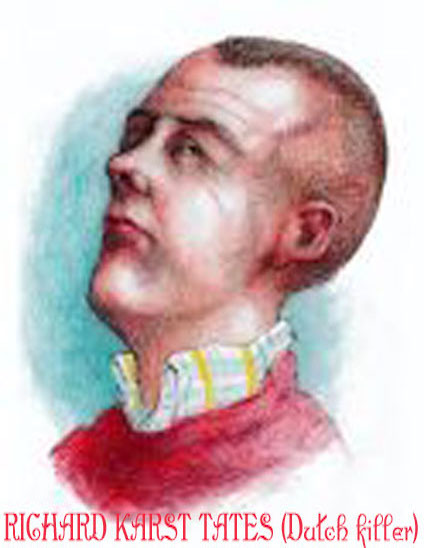 Snell had been accused of plotting to bomb the Murrah Building in the 1980s. Snell reportedly watched televised reports of the Oklahoma City bombing on the day of his execution and nodded in approval. 2013 – Boston Marathon bombings suspect Tamerlan Tsarnaev is killed in a shootout with police. His brother Dzhokhar Tsarnaev is captured while hiding in a boat inside a backyard in Watertown, Massachusetts. 1939 – Adolf Hitler's 50th birthday is celebrated as a national holiday in Nazi Germany. 1945 – World War II: Führerbunker: Adolf Hitler makes his last trip to the surface to award Iron Crosses to boy soldiers of the Hitler Youth. 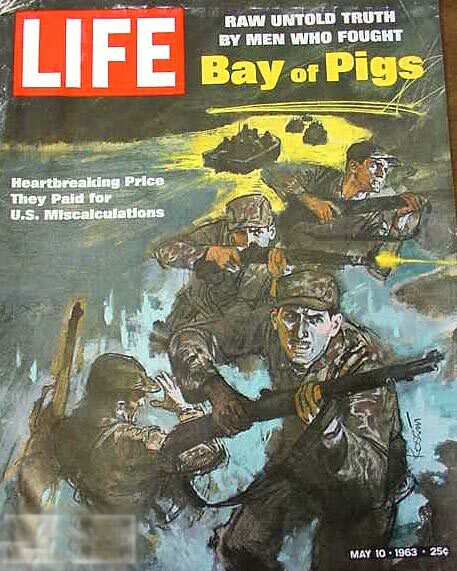 1961 – Failure of the Bay of Pigs Invasion of US-backed Cuban exiles against Cuba. 1971 – According to Steven Hager, editor of High Times, he found the term 420 originated at San Rafael High School in 1971, among the Waldos. They would meet every day after school at 4:20 p.m. to smoke marijuana at the Louis Pasteur statue. One of the Waldos notes, "We did discover we could talk about getting high in front of our parents without them knowing by using the phrase 420." By extension now, April 20 ("4/20" in U.S. dating shorthand) has evolved into a counterculture holiday, where people gather to celebrate and consume cannabis. 1978 – Korean Air Lines Flight 902 is shot down by the Soviet Union. 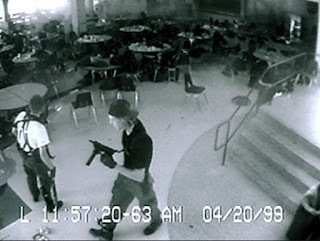 1999 – Columbine High School massacre: Eric Harris, 18, and Dylan Klebold, 17, killed 13 people and injured 21 others before dying by suicide at Columbine High School in Columbine, Colorado. 2007 – Johnson Space Center shooting: William Phillips with a handgun barricades himself in NASA's Johnson Space Center in Houston, Texas before killing a male hostage and himself. 2015 – A substitute teacher was killed at the Joan Fuster School in the La Sager neighborhood of Barcelona, Spain, by a 13-year-old student with a crossbow and machete. Four other people were injured. 2004 – Two fuel trains collide in Ryongchon, North Korea, killing up to 150 people. 2013 – Six people die in a shooting in Belgorod, Russia. 2013 – The Royal Canadian Mounted Police arrest and charge two men with plotting to disrupt a Toronto area train service in a plot claimed to be backed by Al-Qaeda elements. 2014 – More than 60 people are killed and 80 are seriously injured in a train crash in the Democratic Republic of the Congo's Katanga Province. 2016 – The one-month anniversary of three suicide bombers killing 35 people and injuring 316 in the 2016 Brussels bombings at the airport and at the Maelbeek/Maalbeek metro station. 1343 – St. George's Night Uprising commences in the Duchy of Estonia. 1968 – Timothy James McVeigh, who blew up the Alfred P. Murrah Building in 1995, on April 19, was born. He is executed on June 11, 2001. 1184 BC – Traditional date of the fall of Troy. 1946 – Naperville train disaster kills 47 in Naperville, Illinois. 1965 – Teenage sniper Michael Andrew Clark kills three and wounds six others shooting from a hilltop along Highway 101 just south of Santa Maria, California. 2005 – One hundred seven people die in Amagasaki rail crash in Japan. 2010 – Joseph McVey, 23, from Ohio, is arrested with a shotgun, in a car made to look like a police vehicle with working lights and sirens in the Asheville, NC airport parking lot, when President Obama and his family were departing in Air Force One. 1865 – Union cavalry troopers corner and shoot dead John Wilkes Booth, assassin of President Lincoln, in Virginia. 1894 – Birthdate of Rudolf Walter Richard Heß, also spelled Hess, who was a prominent politician in Nazi Germany. 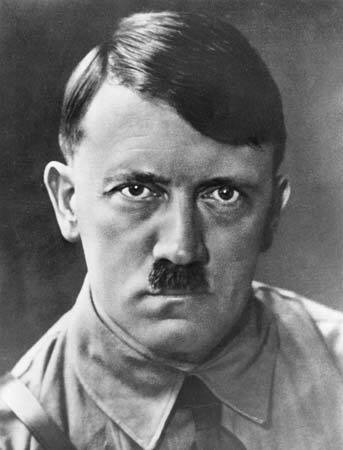 Appointed Deputy Führer to Adolf Hitler in 1933, he served in this position until 1941, when he flew solo to Scotland. Neo-nazi "celebrations" have been held for him in Germany, on the date of his death, August 17, but some indications are that his birthdate is acknowledged, as well. 1982 – Fifty-seven people are killed by former police officer Woo Bum-kon in a shooting spree in South Gyeongsang Province, South Korea. 2002 – Robert Steinhäuser, 19, infiltrates the Gutenberg-Gymnasium (a secondary school) in Erfurt, Germany. He stalked the halls, and killed 12 teachers, an administrator, two students, one policeman, and wounded 10 other people before he killed himself. Seventeen people in total died. 2011 – The April 25–28 tornado outbreak devastates parts of the Southeastern United States, especially the states of Alabama, Mississippi, Georgia, and Tennessee. Two hundred five tornadoes touched down on April 27 alone, killing more than 300 and injuring hundreds more. 2014 – A tornado outbreak over much of the eastern United States kills 35 people. 1949 – The Hukbalahap are accused of assassinating former First Lady of the Philippines Aurora Quezon, while she is en route to dedicate a hospital in memory of her late husband; her daughter and ten others are also killed. 1996 – Port Arthur massacre, Tasmania: A gunman, Martin Bryant, opens fire at the Broad Arrow Cafe in Port Arthur, Tasmania, killing 35 people and wounding 23 others. 1429 – Joan of Arc (tied to name game, Fay/Fairy/Beech) arrives to relieve the Siege of Orleans. 1945 – World War II: Führerbunker: Adolf Hitler marries his longtime partner Eva Braun in a Berlin bunker and designates Admiral Karl Dönitz as his successor. Both Hitler and Braun died by suicide the following day. 1945 – World War II: Führerbunker: Adolf Hitler and Eva Braun die by suicide after being married for less than 40 hours. Soviet soldiers raise the Victory Banner over the Reichstag building. 2009 – Eight people are killed and another ten injured at a Queen's Day parade in Netherlands in an attempted assassination on Queen Beatrix and members of the Royal Family. 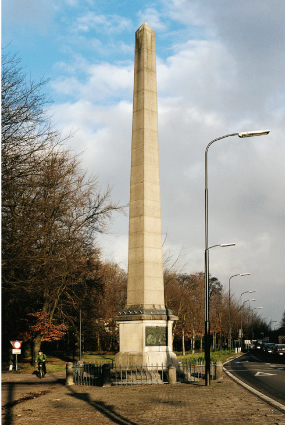 The attack occurred at the De Naald (in English The Needle), which is the obelisk monument in the Dutch city of Apeldoorn. The car of the assailant, identified as Richard Karst Tates, ended up crashed at the base of the obelisk. 2009 – Azerbaijan State Oil Academy shooting: Twelve people were killed (students and staff members) by an armed attacker. Beltaine Festival - April 30-May 1. Walpurgis Night. This is the highest day on the Druidic Witch's Calendar. May 1 is the Illuminati's second most sacred holiday. Human sacrifice is required. Coleman says violent offenders, intent on shocking the public, sometimes "compete for the highest body count. "...the copycat crimes will likely slow down as we near winter. He says spring, and the anniversary of Columbine, could be enough to spark another cycle of tragedy. There is also the influence of cable news to be accounted for, as wall-to-wall coverage of shootings and murder could easily sway sick minds to think of killers as culture heroes. Indeed, researcher Loren Coleman believes copycats imitate previous violent attacks on a regular basis. He says school attacks follow a pattern after a media event in a day, a week, two weeks, a month, a year, or 10 years. "Vulnerable humans have internal media clocks," he maintains. ...Loren Coleman is worried, because mass killers often choose special dates and anniversaries for their carnage. The killers at Columbine did, by picking the birthday of one of history's monsters. The author of The Copycat Effect (Simon & Schuster) says the amount of attention this anniversary gets may determine whether any other disaffected males bent on vengeance pick April 20 for their act of destruction. "Anniversaries can be dangerous," Coleman says. "These individuals compete with each other." ...Coleman called schools "a fish bowl setting with a vulnerable population." ...The killers are uniformly "homicidal, suicidal, sexually dysfunctional males" who feel powerless and blame others for their problems. Attacking school students – young girls are favored targets – makes these people feel powerful and strong, Coleman says. There is an occult nose-thumbing at the bottom of many of these twilight language cereal murders, such as Jack the Ripper - poking fun at the investigators and the public because so many don't get the black comedy at the heart of it. It's a feeling of superiority magnified exponentially. 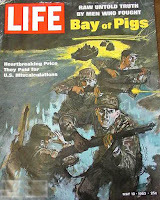 H/T to R. Sullivan for news of the new Newtown incident. I always remember April 19, 1998 when in Madison WI, a passenger on a city bus dowsed other passengers with gasoline and lit them on fire. I was out of town that weekend at a trivia contest in Steven's Point and only heard the news coming back Monday morning. The man's name was Salim Amara and he was found not guilty because of mental illness. But the really weird thing is nobody ever talks about it here. We have memorials for Elvis and Otis Redding but nobody talks about this even in Madison. April 15, 1912 the Titanic sunk. Talk about black comedy! Imagine - the cereal killer can be in the fields, the grocery stores or at the breakfast table, with or without milk. Thanks Irusan, I'll check that out. 1523 deaths r/t Titantic sinking offering to Poseidon? LA GRANDE, Ore. (KOIN) — Two juveniles were arrested Tuesday night on charges of conspiracy to commit murder in connection with plans they had to execute a Columbine-type attack on La Grande High School in Oregon. La Grande police began an investigation after receiving a tip about the planned attack on Monday evening. The threat was later determined to be credible, police said. On Sat. 16.04.2016, five people died at a music fest in Buenos Aires Argentina. Time Warp is the name of the music fest. The last headline I saw had the death toll as high as 30. It's just past noon in the central states. The New York primary is also going on today so that might take some of the oxygen out for other stories. Three wounded and the shooter is dead in a story out of Alabama that looks like it started around 7:00 AM 2016-04-19. Still short on detail. I've only found it reported by a YouTube channel I am subscribed to (Daboo777) and local media reports. Okay its not a fire but --- a huge fireball lit up the sky in El Salvador, causing apocalyptic fears. Recording star, PRINCE, is found dead, in his home's elevator. Among his amazing collection of songs, was one entitled Purple Rain. The elevator is odd. And its the 90th birthday of the still reigning QUEEN Elizabeth II. While the Fort McMurray WILDFIRE is reported as beginning on May 1st, could it have begun on APRIL 30th. Syncing with the Celtic Beltane or Walpurgis Night?